WAIST HIGH: OMD Reveal History Of Modern Artwork. OMD Reveal History Of Modern Artwork. Orchestral Manoeuvres in the Dark have revealed the artwork for the cover of their forthcoming album History of Modern which was designed by their longtime collaborator, the legendary artist Peter Saville. 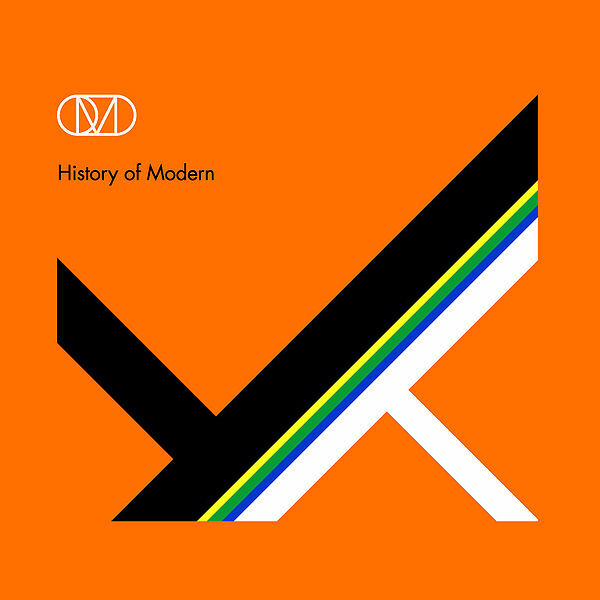 History of Modern, the 11th studio album from OMD, will be the first album of new material from their original line-up since 1986's The Pacific Age. The album is set for a September 20 release. A free demo from History of Modern called "Sister Marie Says" was released last November; "Elements of the song were originally composed in 1981 and a reworked version of the track was due to appear on the 1996 album Universal but got shelved because it sounded too much like early OMD and was out of step with the more reflective tone of Universal." One of the co-founders of Factory Records, Peter Saville has created many album covers for OMD over the years and was the designer of the artwork for Joy Division's Unknown Pleasures and Closer, and New Order's "Blue Monday," and Power, Corruption and Lies.